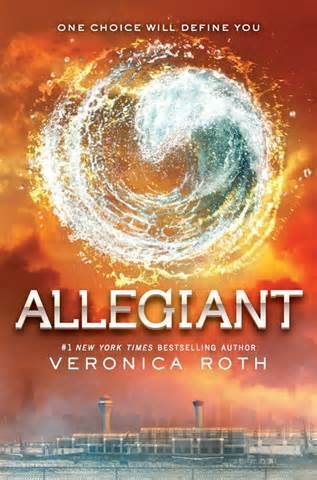 Allegiant is the third and final addition to the Divergent trilogy. The story opens with Tris in jail after revealing the secrets of the city in a video to the rest of the residents. When she is released she is recruited into the rebel group Allegiant, who are determined to overthrow the current leaders as well as exploring what is beyond the city. Chicago is no longer the place she knew, as riots are breaking out almost everywhere Tris looks. Is there anything out there? Can she trust anyone when her life is full of lies? 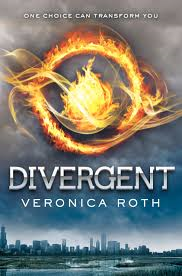 Insurgent brings the second installment of the Divergent trilogy. We return to the futuristic Chicago, where the factions’ differences are becoming apparent and a war is on the horizon. Things have started to get harder for Tris Prior and her friends, so they decide to seek refuge in the Amity HQ, in fear of their lives as the Erudite leader Jeanine Mathews tries to hunt them down. Being Divergent is now more dangerous than ever, so do Tris and Tobias have what it takes to bring down Erudite, and change the city for the better? In a futuristic Chicago, society is divided into five factions, based on personality. Sixteen-year-old Beatrice Prior has a tough decision to make: she has to choose from the selfless Abnegation, her current faction, Amity, for the peaceful, Candor, for the honest, Dauntless, for the brave, or Erudite, for the intellectual. Everything is made harder for her when her aptitude test is inconclusive, meaning she is suitable for three factions and is therefore Divergent. Will she stay with her selfless family or live the life she has always dreamed of?